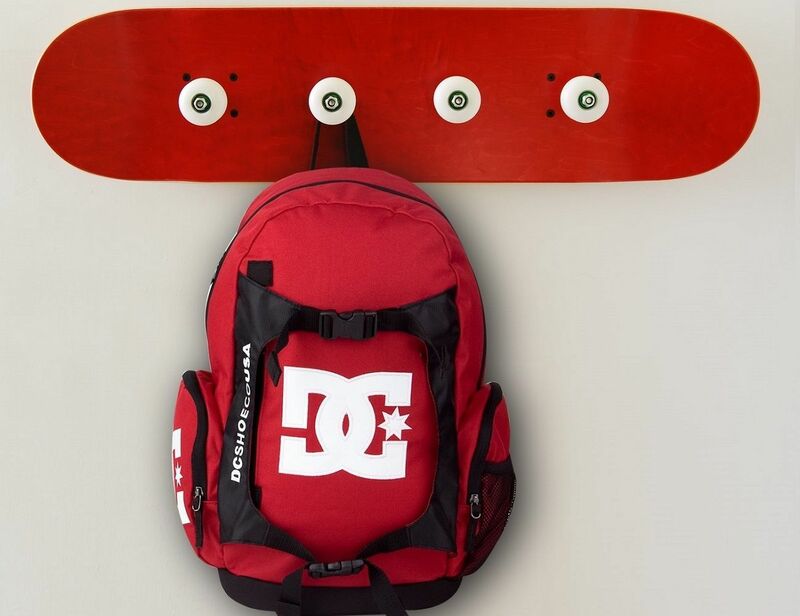 The Pivot Grind Coat Rack is one of several such skateboard-themed household use items created by Skate-Home. 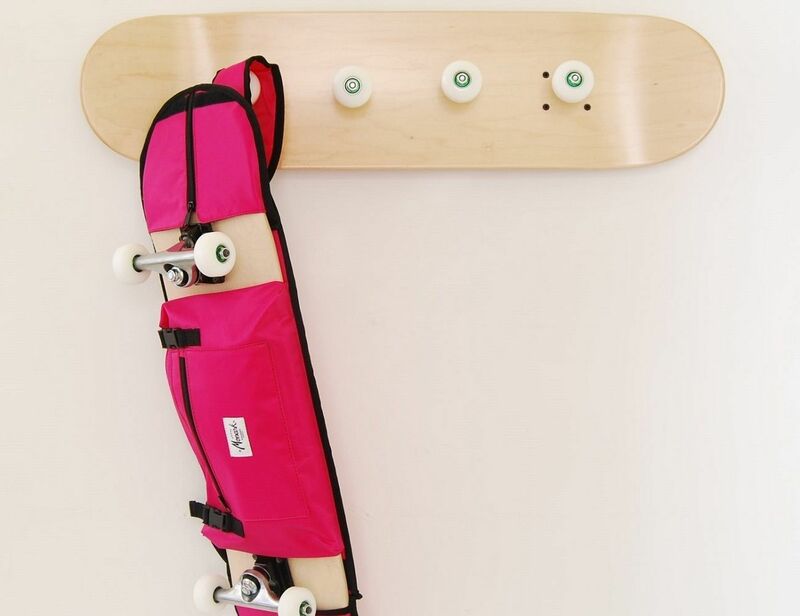 This one is a sleek beauty of a skateboard that is made to hang on a hall sideways, with four wheels sticking out of it that function as the coat rack hooks. 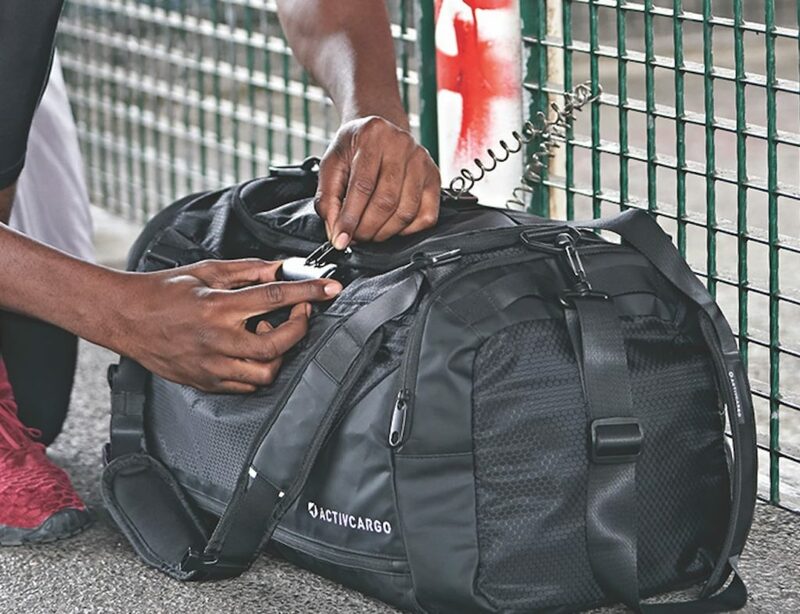 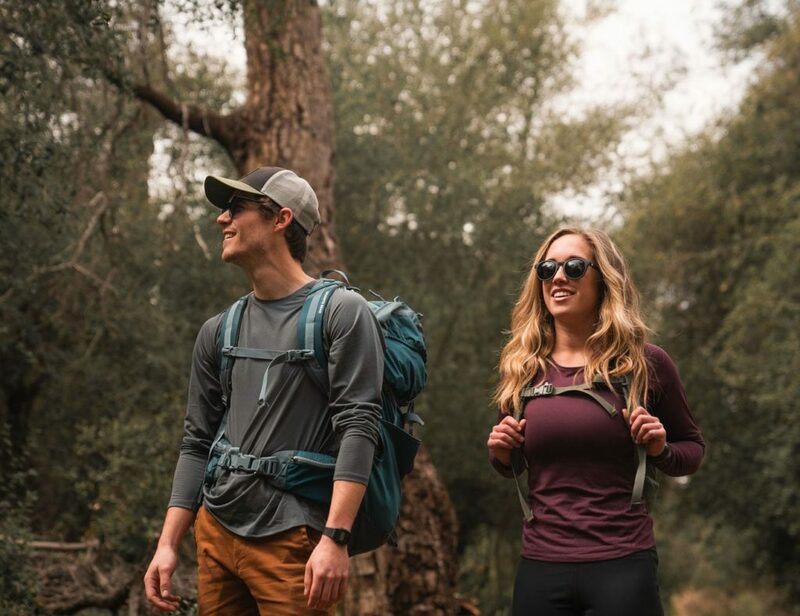 You can hang your coats, hats, bags, keys and other stuff that you usually reach for when you walk out of the home. 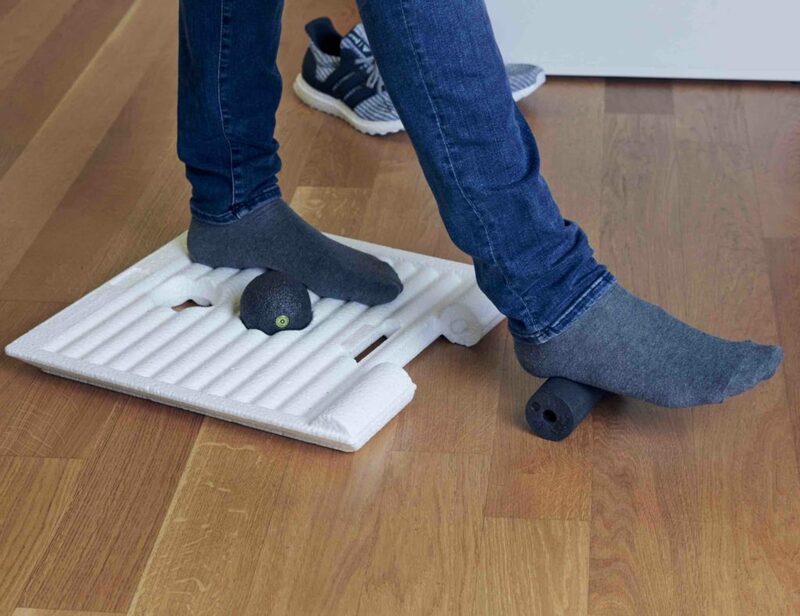 If you like this, they have all kinds of furniture and fixture items that make use of skateboards. 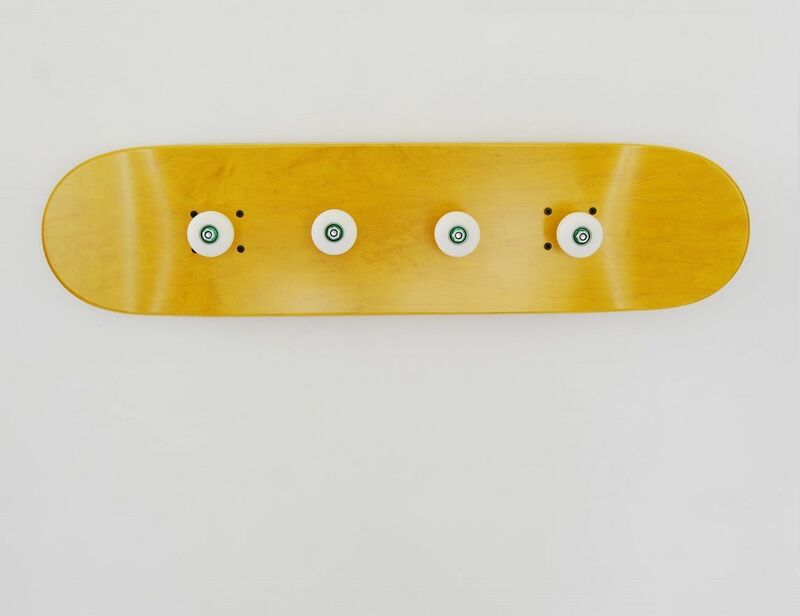 You can get stools, chairs, shelves mirrors, clocks, lighting and even bookends – all made using the simple skateboard. 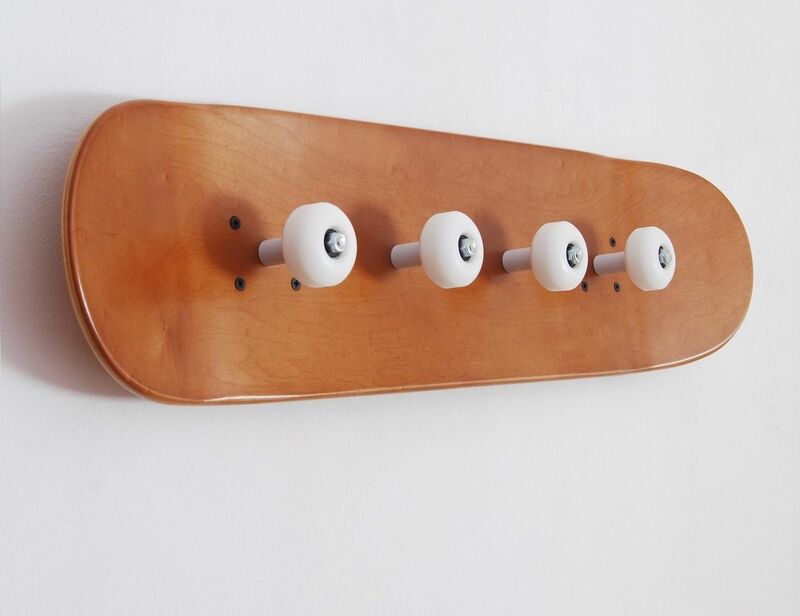 This is what happens when a decorator (Maria Tamarit) gets hitched to a skateboarder (Manuel Lloréns), and they don’t have anything better to do.